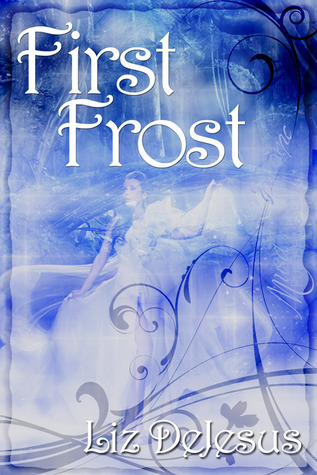 Hello everyone and welcome at my stop of the Glass Frost Release Day Blitz! When joined together, Cinderella’s slippers grant the wearer her heart’s desire. But whose wish will be granted?When Cinderella’s glass slipper is stolen, Queen Felicia sends her faithful steward Terrance to the real world to retrieve his love and witch-in-training, Bianca Frost. The power of the glass slipper in the wrong hands could ruin peace in Everafter. Bianca must gather every bit of magic she has learned in the past few weeks to find the slipper and protect her new love. Together, Bianca, Ming, Prince Ferdinand, and Terrance venture deep into the heart of Everafter to seek clues as to who has stolen the slipper and why. Along the way, they uncover what happened to the Seven Dwarves after Snow White married the prince, but also learn the awful risk of tampering with black magic and the high price that must be paid for magical aid, even when used for good. Bianca and Terrance’s relationship is put to the test. Through the pain of suffering and loss, Bianca must determine if following her gallant boyfriend into his faraway world is in fact her heart’s desire. Bianca turned around, ready to leave the Fairy Realm, defeated and with no answers when something hit her. What if Fanny could understand her questions regardless of what the queen thought? What was the harm in asking? Bianca shrugged and turned back toward Fanny. Terrance put a hand on her shoulder and tried to stop her. His eyes widened, with a look he asked her what she was doing. She patted his hand and walked away, convinced that what she was about to do was right. “What does she think she’s doing?” Titania asked. Bianca hesitated for a moment, worried about what the queen would do to her. But Titania remained still, almost as if she was as curious as everyone else to see how Fanny would react to Bianca. Fanny danced around Bianca as though she were invisible. She just twirled and giggled as though someone had told a funny joke. Why won’t she see me? Am I invisible to her? “Hello,” Bianca cried. She touched Fanny on the elbow, hoping deep inside to make a connection. A flash of light blinded her momentarily, and she felt an electric current race through her body. The power from that knocked Bianca on the floor on her rear end. Fanny miraculously stopped. She remained silent at first. Then she turned her dark brown eyes at Bianca. They held so much sorrow and pain. “Fanny, can you hear me?” Bianca asked. “Yes,” she replied. Her eyes widened in surprise, as though she was amazed that she was still able to use her voice. Fanny then gagged. She got on all fours and heaved until a single white rose passed through her lips. The flower was covered with bile and saliva as it fell heavily on the ground. 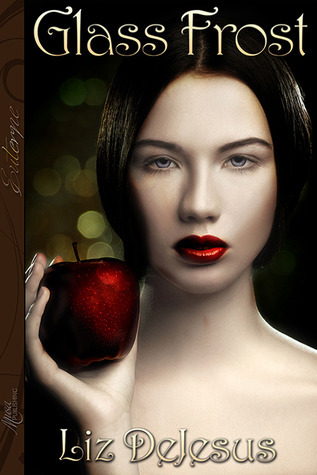 Bianca sat beside Fanny, her hand hovering over her shoulder precariously. She was scared of what else would happen should she touch Fanny once more. Fanny looked into Bianca’s eyes. She shrugged and gave Bianca a sad smile. Liz DeJesus was born on the tiny island of Puerto Rico. She is a novelist and a poet. She has been writing for as long as she was capable of holding a pen. She is the author of the novel Nina (Blu Phi’er Publishing, October 2007), The Jackets (Arte Publico Press, March 2011) First Frost (Musa Publishing, June 2012) and Glass Frost (Musa Publishing, July 2013). She is also a member of The Written Remains Writers Guild.